Banking sector In order to promote a strong and competitive financial sector and to increase public confidence in the banking sector, by providing public access to relevant bank activity information, the National Bank of Moldova has concluded agreements with licensed banks to publish information on the banking sector as a whole and on banks separately. Banca Comerciala „MOLDOVA - AGROINDBANK” S.A.
„Banca de Finante si Comert” S.A.
Banca Comerciala „ProCredit Bank” S.A.
Banca Comerciala „MOBIASBANCA - Groupe Societe Generale” S.A.
Banca Comerciala "EXIMBANK - Gruppo Veneto Banca" S.A. 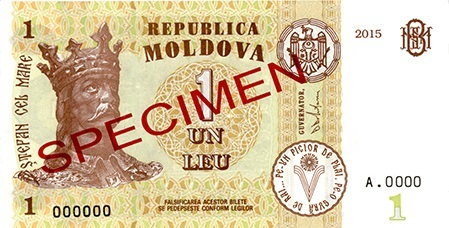 The current banknote series was introduced by NBM between 1993 and 1995.